UCL formally committed today to a policy of openness about animal research when Professor Michael Arthur (UCL President &amp; Provost) signed the Concordat on Openness on Animal Research in the UK. 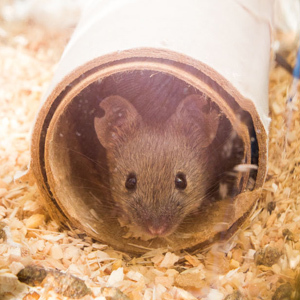 The final Concordat was signed by 72 organisations from across the scientific sector, co-ordinated by the charity Understanding Animal Research. UCL was central to the development of the Concordat, which was overseen by a Steering group that included Adrian Deeny (UCL Biological Services). Professor Michael Arthur said: "UCL is a world-leading medical research institution and animal research forms a small but vital part of our work. It is important that we talk about this clearly and openly so that everyone can see what animal research at UCL involves, how it advances our wider research goals and how we are working to reduce, replace and refine our use of animals where possible. "We are committed to a policy of openness at UCL and are delighted to formalise this by signing the Concordat. We are currently developing a number of initiatives to open up animal research at UCL and increase public engagement in this area, all of which align with the objectives of the Concordat." It is important that we talk about this clearly and openly so that everyone can see what animal research at UCL involves, how it advances our wider research goals and how we are working to reduce, replace and refine our use of animals where possible. Adrian Deeny said: "I am delighted that UCL has signed the Concordat, a milestone in openness and transparency about the use of animals in research." The Concordat is underpinned by an agreement that communication about animal research should provide accurate descriptions of the benefits, harms and limitations of research, be realistic about the potential outputs of such research and be open about its impact on animal welfare and the ethical considerations involved. The document also strongly encourages signatories to consider whether they can offer access to their animal research facilities for accredited journalists and media organisations, MPs, and local school, patient and community groups. Under each of the commitments is a series of actions that signatories can take to fulfil them. These include identifying spokespeople who will answer questions about an organisation's use of animals; supporting researchers who would like to talk about their work using animals; including information on the role that animal research has played in announcements of scientific advances, and providing more images and videos highlighting the reality of animal research. The work was informed by a public dialogue project and workshop with journalists in summer 2013. The draft Concordat was then opened for a six-week public consultation at the end of 2013. Geoff Watts, Chair of the Steering Group for the Concordat development process, said: "I am delighted that so many organisations have signed the Concordat. This widespread support for openness demonstrates the change in attitude that we have seen from the life science sector over the last few years. Developing this Concordat has been a long and careful process, and I am convinced that it will result in there being much more opportunity for the public to find out about the reality of animal research in this country."